Contact Us At Roofworx Today! With all roofing structures, the overall goal of a roof is to act as protection against the elements, and to prevent water and other precipitation that can gather on top of a roof. Typically built as pitched roofs, home roofs and repairs have undergone significant changes in how they are maintained and serviced, from simple inspections to full-on replacements. Does your home need a quality, professional service? There are several residential roofing options available, whether you are looking for a new roof or needing simple repairs. Contact us today 817-920-5974 to speak to a roofing expert for your residential roofing in Fort Worth and Dallas, TX. Roof Installation A properly installed roof can last for years and withstand weather and physical damage with proper maintenance. Roof Replacement A roof replacement can add years to your home and give you and your family peace of mind. Roof Repair A roof requires regular maintenance and repairs to keep functioning properly for your home. We can repair any roof type and material. Is your home’s roof in need of serious repair, or unable to withstand additional damages? Contact us today 817-920-5974 to talk to us about commercial roofing at Roofworx & General Contracting in Fort Worth and Dallas. Does your home need a new roof? Have you noticed damage over time and are needing experts to help repair it for you? Let the experts at Roofworx help you with your residential roofing problems, give us a call today 817-920-5974 to talk to our professional roofers and get a free estimate. 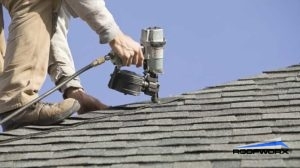 We are available for residential roof services in Fort Worth and Dallas, TX. Updated on February 11, 2018 at 7:40 am by Roofworx & General Contracting.